The number of oil surface mining techniques are very limited. However, there are different combinations that can be conducted using some equipment to make this process a success. Some of these extractive techniques oversee the removal of the rock that bears the oil. It’s removed and later processed elsewhere. All the potential oil surface mining techniques can be categorized into the following categories. This is a technique that involves the removal of the overburden. This piece is excavated using heavy machines and then transported. The material collected around the pit is then dumped inside the pit where the ore was excavated. Terrace mining technique is quite complex. It requires a reasonable tubular deposit with a vast areal extent. Other than the two mentioned factors, the technique is considered quite flexible. The barriers set for terrace mining are generally because of the economic stripping limit ratio. This technique entails the removal of the overburden. The removal is conducted using an excavating machine that then directly transports the material. The extracted material is taken through excavation and then dumped in the exact area from where the ore was extracted. According to experts, strip mining is a suitable method for all tubular deposits that are shallow dip or flat. The shallowness of the pit should at least be 10 degrees. The maximum overburden depth is not allowed to be more than 150 fits. The general depth pit shouldn’t exceed 200 fits. The strip limits of various mine operations are always determined by the capacity of the equipment applied. According to experts, there are various reasons laid down as to why thermal enhanced oil recovery method can’t be successfully used in some reservoirs in the manner the open pit method is applied. This technique basically entails the removal of waste materials. The waste is conveyed out using dumper trucks, trains, and conveyors. These equipment dump waste outside the excavation area. Mostly, the topography of the area permits to haul the waste bumps. These levels are always achieved. However, there are some topographies that don’t allow this. Open pit methods have the utmost flexibility compared to all the other systems. However, it is a costly method to practice. When it comes to the open pit method, there are limits of operations and they are directly determined by the economic stripping ratio. 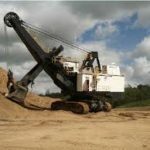 This specific method involves the removal of the overburden material. The removal of the material is overseen by terrace mining. The final cutting of the ore is overseen by strip mining. Experts have approved that this method is dependable as it’s able to reach greater depths than the normal terrace mining technique. The reason behind this is that the last phase of mining using stripping mining technique is quite cheap. 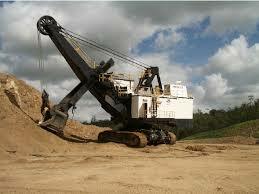 Terrace mining is then applied to handle the excess material that the dragline is not able to get rid of. Extraction of oil using mine openings doesn’t approve a clear and complete recovery. For a thorough recovery, the rock acting like a rock reservoir should be removed to the surface for processes like treatment which is conducted and then returned to the ground openings to cover cave-ins. When you own a business, it is important that you keep it up to date with the latest computer software programs. In order to serve your customers in an efficient way, you will need to monitor your website to make sure that it is able to handle the amount of orders you receive. However, it is equally as important that you are able to see what is happening inside your business as well. 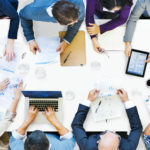 You want to be able to know what is going on in the field with your employees at all times and get information that is important to you in a fast manner. In order to keep up on what contractors and others who are working for you are doing in the field, you will need to have a software program installed that they can use via their smartphone devices or tablets. They should have access to put in information that reflects the work that is being done along with any incident reports that need to be included. Using programs, such as Linksafe, will allow you to do this. You can manage all aspects of what is going on easily using this system. You will not have to rely on phone calls or emails in order to get the information you need. The contractors you hire can quickly add anything they need to let you know so that you have it within minutes. 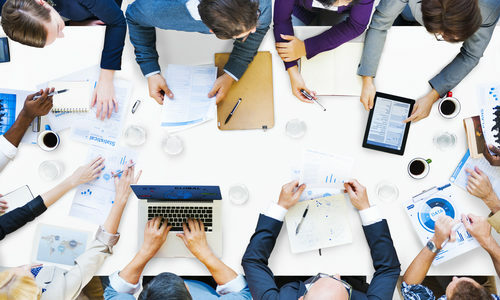 Using these programs, you can easily schedule training programs for your staff so that they can get to it from their desktop computers. No longer will they need to attend specialized classes at other facilities in order to get the proper training for their jobs. It can be done at their convenience and you will be provided reports on who has or has not taken the training course so that you can follow up with it. Many companies are finding that using these programs has made their business run more efficiently. These software programs are typically available in several different levels of service. The basic service will provide the training applications you need and reporting information, while the highest level of software will give you much more. Updating records and maintaining scheduling are just some of the high-level features. Most of the companies who provide these software programs will charge you for an initial set up of the program and a low yearly fee. The charges you will receive will depend on the level of service you have contracted for. For many businesses, keeping meticulous records is imperative due to federal and state regulations. But any business will find that using these programs allows them all of the access to their outside contractors. It is easy to find one of these companies if you search the internet and do some research. Check their levels of service and pricing arrangements. Choose one the will fit into your business model and your budget. If you have ever stepped foot inside of a commercial kitchen, you’ll know just how well-stocked they are. Commercial kitchens, otherwise known as restaurant kitchens, are proverbial hives of activity. You have chefs and assistants working hard, flying back and forth, while servers return to see what is going on with their orders. While all of this activity is happening, you also will have to deal with all of the equipment inside of the kitchen. If you are planning on establishing your own restaurant kitchen, you’ll need that equipment in order to facilitate a working business. Today, we’ll be outlining a few tips for getting the right restaurant equipment for the job. Let’s dig in! As we stated above, getting your commercial kitchen into shape is of the utmost importance. Your restaurant will rely on your kitchen in order to facilitate the very heart and soul of your business. You can’t go half-hearted into the planning and development phase when it comes to setting up your restaurant kitchen. 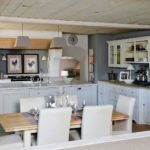 In order to make sure that your kitchen looks as good as possible, you definitely need to follow the guide that we have detailed below. 1) Plan Your Layout – Before you even begin to purchase equipment, you really need to know how you want your kitchen floor laid out. If you have studied restaurant history, you’ll know that the reason for McDonald’s early success was due to how they laid out their kitchen in order to maximize efficiency. While you probably aren’t a fast food facility, you can still take that mindset to heart. Sketch out how you want your kitchen to look based on the space available to you. Having this layout prepared will give you guidance when you select your equipment to purchase. 2) Consider Refurbished Equipment – Restaurant kitchens are filled with expensive appliances and surfaces that are all but necessary in order to operate correctly. While there is nothing wrong with purchasing brand new products, you have to understand that the price will begin to add up. When possible, consider opting for refurbished kitchen equipment. Refurbished equipment is a category of product that has been used before but has been prepared for use again by a new owner. Refurbished gear is significantly less expensive while still maintaining the same level of functionality. Additionally, refurbished equipment can be easy to repair due to the availability of parts and components. 3) Prioritize Your Needs – Depending on what kind of food you serve, you’ll have certain pieces of equipment that are more important than others. All kitchens should have grills, freezers, refrigeration, and stainless-steel preparation stations. Once you’ve handled the core pieces of equipment that you’ll need, you can start looking at other equipment options. Prioritizing your list makes it easier to stick to your budget. Outfitting your kitchen is going to be a tough task. You’ll need to make quite a few expensive purchases. However, by using our guide you will be able to get exactly what you need at a price that you can afford!